In developed countries, better nutrition and advances in maternity and intrapartum care over the past few decades mean that death of a healthy, full term baby during labour is now an uncommon event. In the late 1950s, the perinatal death rate in England and Wales was around 35 per 1000 births (MacFarlane and Mugford 1994). 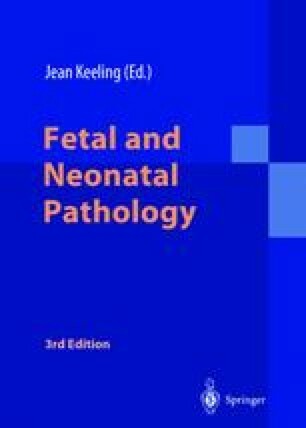 Intrapartum asphyxia and/or trauma accounted for 40.3% of stillbirths and 19.6% of neonatal deaths in the 1958 British Perinatal Mortality Survey, a rate of 10.2 per 1000 births (Butler and Bonham 1963). Recent studies in the United Kingdom reveal that the perinatal mortality rate has dropped to around 8.3 per 1000 births, with fewer than 1 death per 1000 births occurring directly as result of adverse intrapartum events (Chalmers et al 1998; ONS Mortality Statistics 1998; Stewart et al 1998).